Awarded Australian wine producer of the year in 2018, this long lunch is the perfect way to experience the award-winning Riesling from celebrated winery, Kilikanoon Wines. 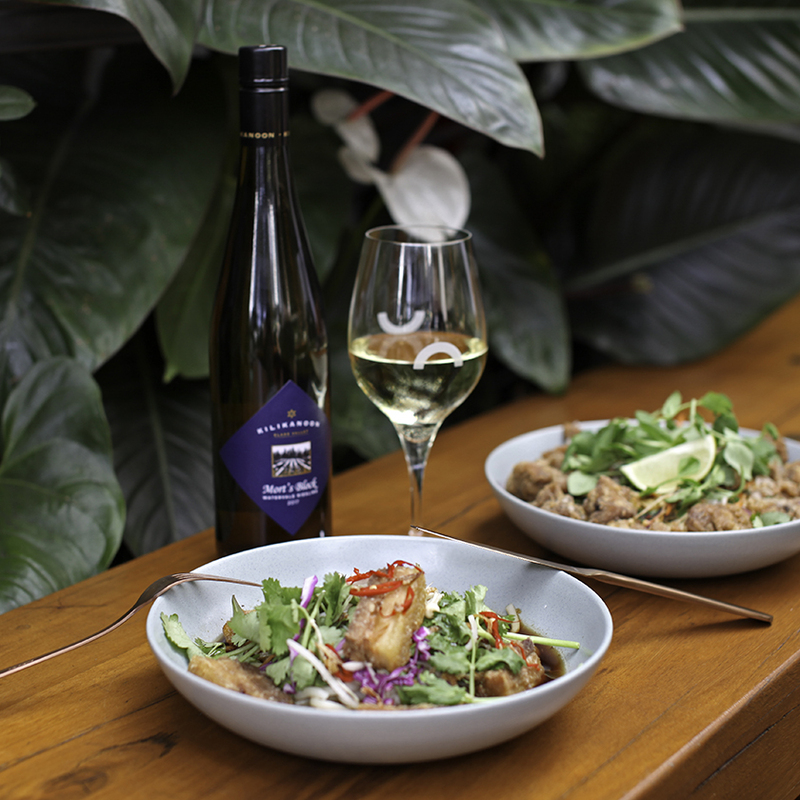 Enjoy 2 hours of bottomless Mort’s Block and Killerman’s Run Riesling, with their blend of acidity, minerality and fruit flavours making the perfect accompaniment to sweet and spicy oriental flavours. Chef Ben King has created an East meets West inspired lunch menu to match, with your choice from menu options such as Pork Belly Ramen and Ras El Hanout Goat tartlet. Pork Belly Ramen, Bacon Dashi, Kombu, Nori, rice noodles, crispy shallot, mint, chilli. Ras El Hanout Goat Tartlet, cucumber raita, scattered chilli almonds, spiced pumpkin smear. Karaage fried chicken, glass noodles, wombok, daikon, ginger, caramelised soy, bonito flakes. Mushroom & Pineapple San Choy Bau, fried rice with roasted pineapple and mushroom, lettuce cups, hoisin, spring onions.